Yesterday, trying to beat the rain (and now they're saying snow for tonight! ), I finally got Hydrangea quercifolia 'Harmony' into the ground. 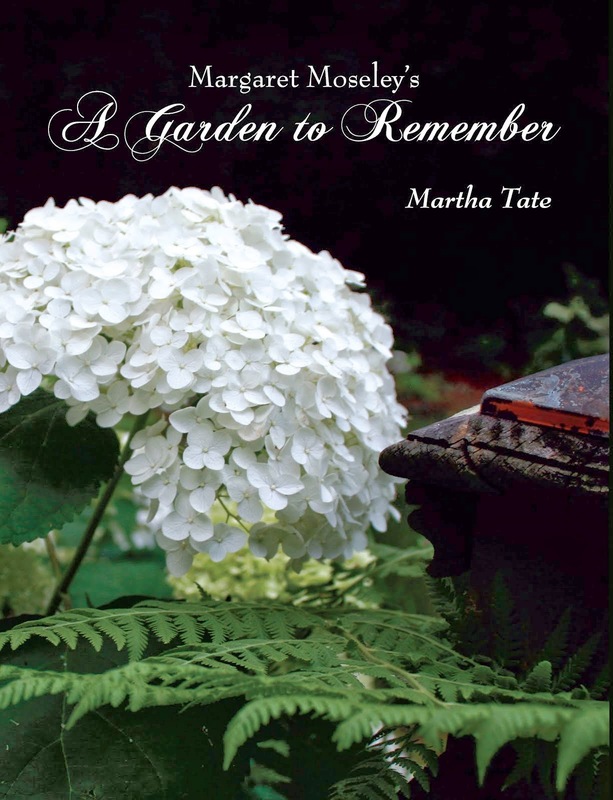 This is an oakleaf hydrangea I've wanted for years, ever since I saw a huge specimen loaded with big, showy blooms at the garden of the late Catherine Sims in Homewood, Alabama. Like Hydrangea quercifolia 'Snowflake', this unusual oakleaf hydrangea was introduced by Birmingham area nurserymen Eddie Aldridge and his father. The story goes that in the 1920's, their friend Joe McDaniel's father brought a plant from the wild to the McDaniel plot in the cemetery at Harmony Church near Rainbow City in northeastern Alabama. This oakleaf produced very tight double flowers that resembled the blooms of large flowering forms of the peegee hydrangea. When the Aldridge father and son went to the church in 1969, the plant was in bad shape. It had been very dry, and the Aldridges weren't very hopeful. They were able to take three cuttings, and miraculously, all three rooted. 'Harmony' is hard to find and has not caught on like other forms of oakleaf hydrangea. This is probably because each bloom can weigh upwards of a pound and pulls the entire branch down to the ground. This was not the case in Mrs. Sims' garden. Apparently, if the shrub can reach a certain size, it can support the weight of the blooms. When we filmed the plant for A Gardener's Diary, the editor kept saying the flower looked like a giant poodle's head. I've read where it's called sheep's head hydrangea, which I can fully understand. 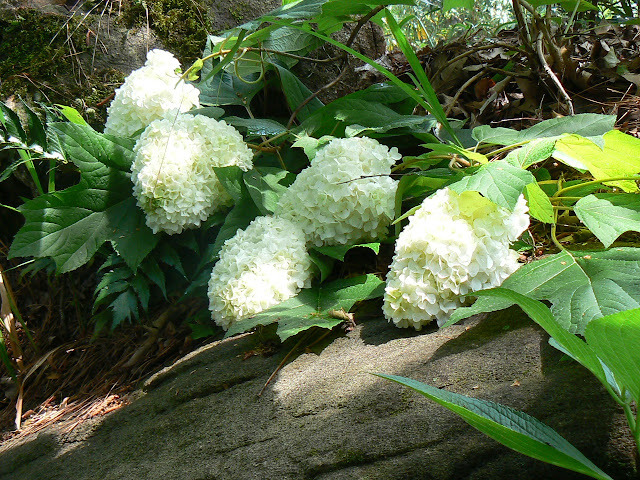 In the above photograph, another Alabama gardener, Jim Scott, solved the problem of the heavy blooms by providing a nice boulder for support. The flowers are almost at eye level, and you can reach out and pick up the blooms to see how dense they are. I just went out and checked on my plant. It was in a one gallon container, so it's not very big, but the foliage is this jewel-like ruby red, shading to the deepest burgundy. I'm not completely satisfied with where I have it planted. I think I'll need more morning sun, but I can lop off a magnolia branch that will be shading it in the spring. And, I have no way to do like Jim Scott and bring in massive boulders to prop it up. But we'll see next May when I hope I'll have a couple of these big, showy blooms to contend with.